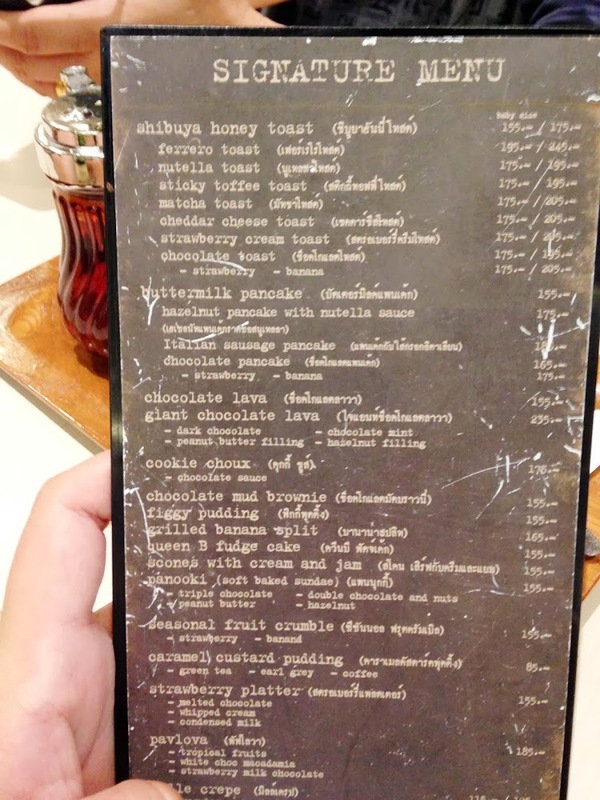 If you are traveling to Bangkok, make sure you don't miss visiting After You Dessert Cafe! Before the trip, I did a little research about this cafe and it has known to be quite popular among tourist and the locals there. 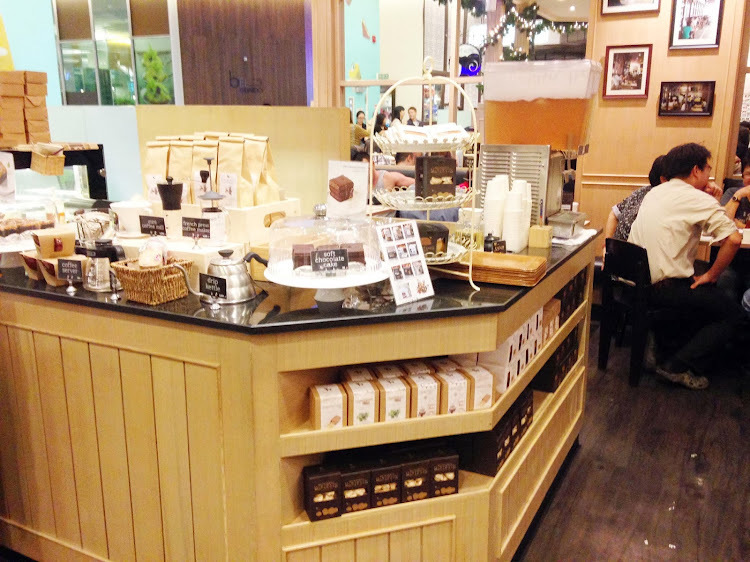 In my opinion, this cafe is a must-visit, it's very convenient as it's located at Siam Paragon. 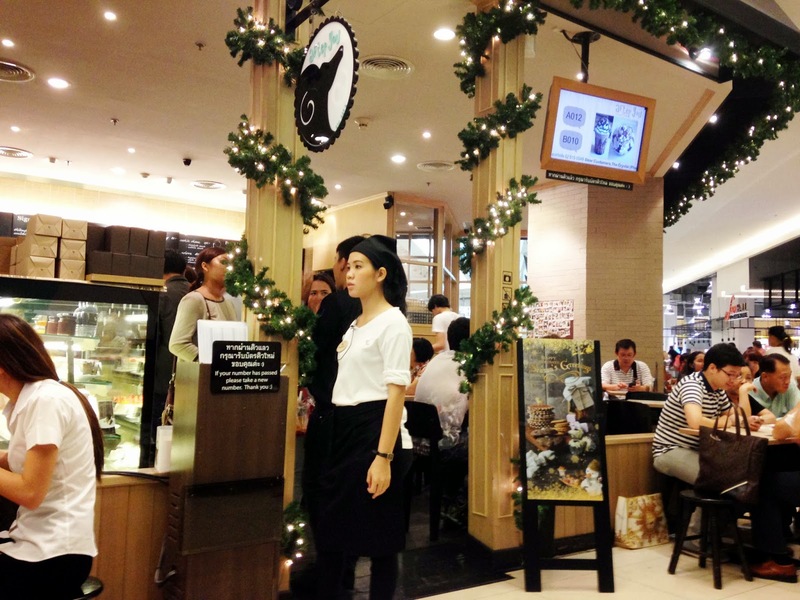 As the cafe hopping trend in BKK is also quite popular. Finally I gave it a try after reading countless reviews on the internet. I'm was expecting the food to be over-rated but to my surprised, it wasen't. I'm highly impressed with the quality of food serve and also the service provided. 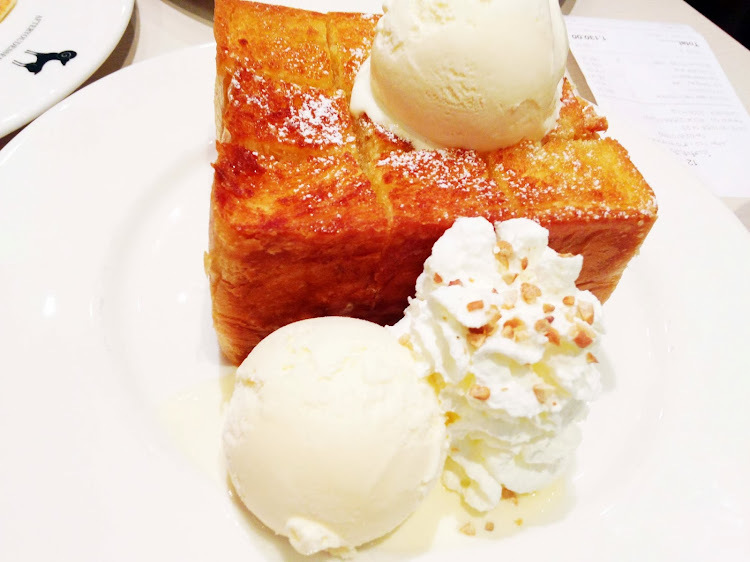 I'm a huge fans of desserts and I'll do anything for good food! The cafe couldn't get away form me and I have to try it by myself to know if the food is really that good! 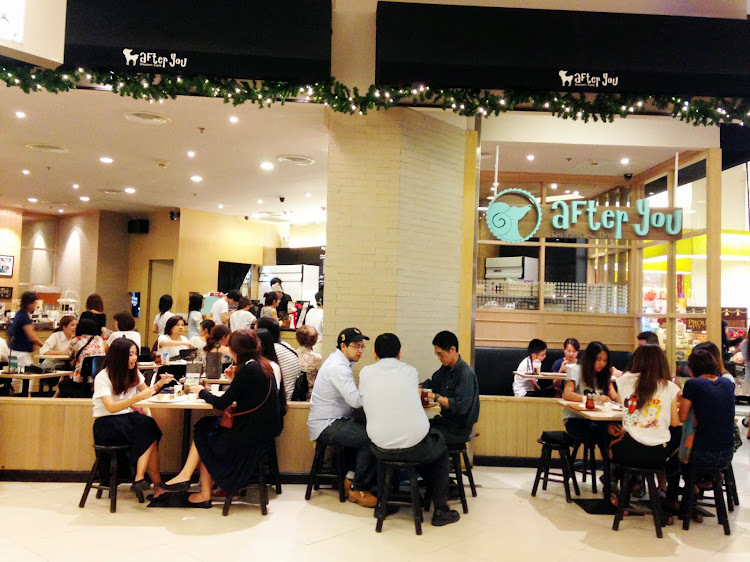 From what you have see in the picture above, the entire cafe was full house and filled with customers. I also managed to spot a few Singaporeans dining in the cafe too. (I guess it's no strangers to us Singaporeans about this place). Provided if you done the research lah! 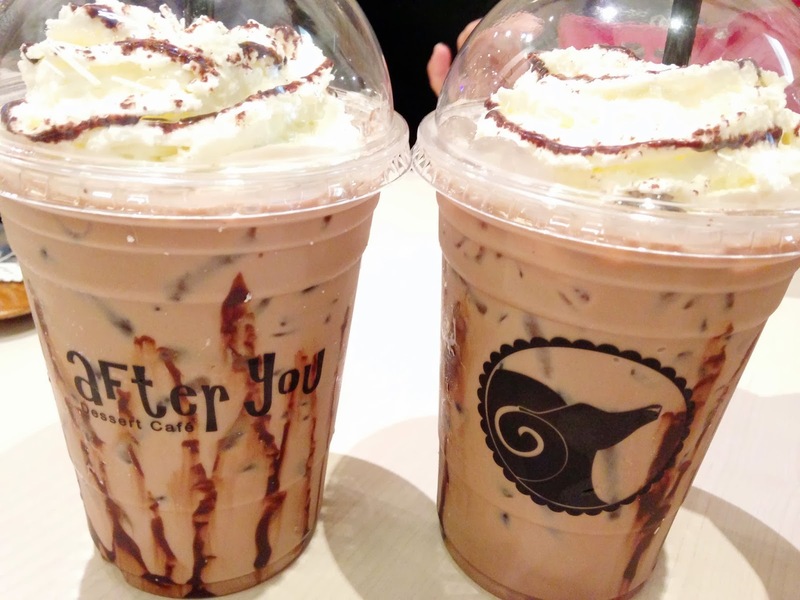 After You Dessert Cafe is located at the ground level of Siam Paragon. (Reminds me of Orchard Ion). If I'm not mistaken they also have another branch elsewhere in Bangkok but you need to conduct your own research! 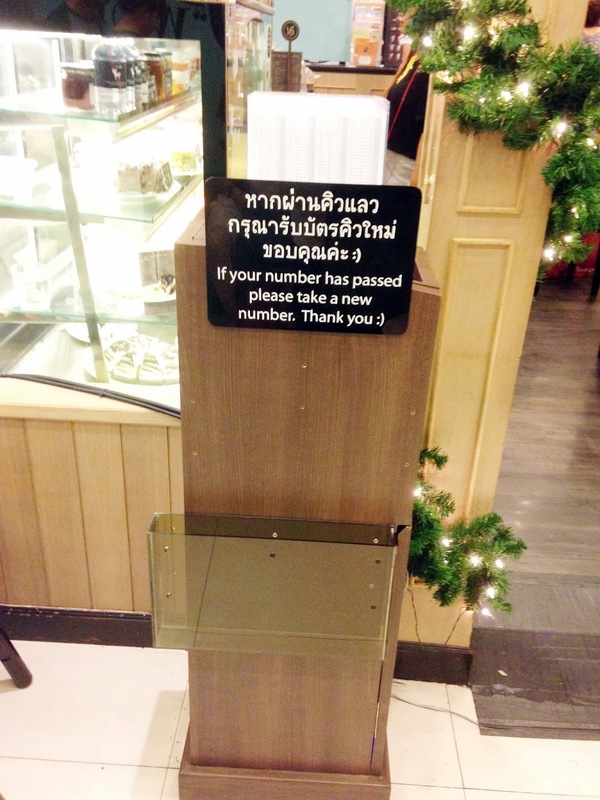 Since it was full house, we would also need to take a queue number to wait for our tables to be cleared. They also indicated if you missed your number, you would have to re-take your number and wait again. I guess this is to be fair to all customers as they are also running a business. I waited for around 15-20minutes, don't worry there are seats outside the cafe. Ambience of the cafe was alright, as it was packed with customers. 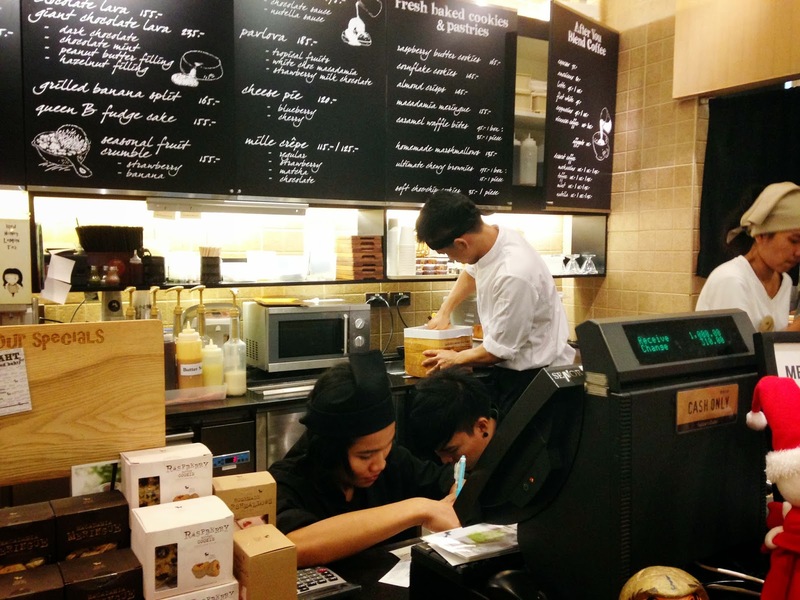 You would have to walk to the counter to order your food (same thing like how fast food restaurants works). Staff was able to speak english clearly and there wasn't any language barrier, managed to ordered our food. Here's the menu if some of you guys are interested. The food was priced at average and it wasn't that expensive for normal cafe food! You know for a moment, I wanted to just order everything in the list above. *Telling myself, I'LL BE BACK AGAIN". Basically, the cafes offers a wide variety of dessert choices, they even have breakfast menu too! Things I recommend must be the Shibuya Toast (with any kind of ice cream you prefer and also the pancakes). 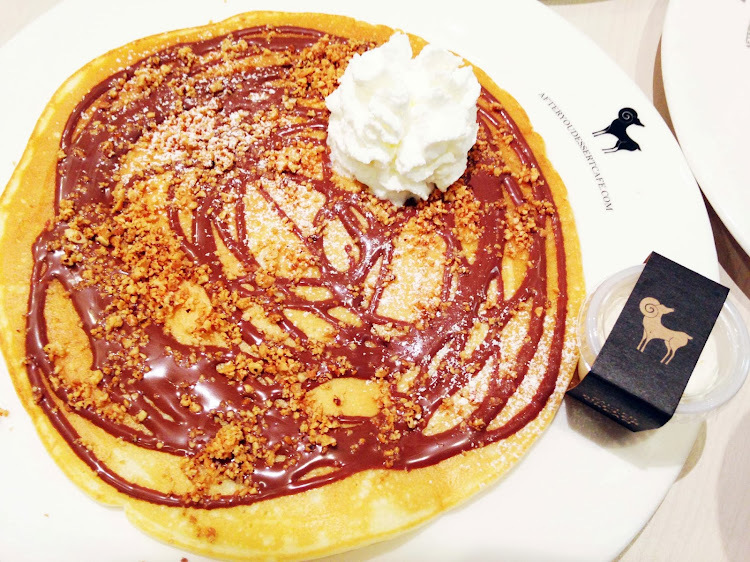 I forgotten how much does it cost, but it tasted like any ordinary chocolate drink. It's not that bad nor good but luckily it isn't that sweet which i like the most. Just i felt it could have been better! But I'm not here for the drinks, but more for the desserts so it didn't really disappointed me either. Okay, here's another one to tempt you guys from a different angle. LOL. Next up we have the infamous and mouth-watering chocolate lava cake! Wanted to get the bigger one but we were afraid that we can't finish it! But supposed that when we ordered small, it would really small! Should have ordered the larger one though! 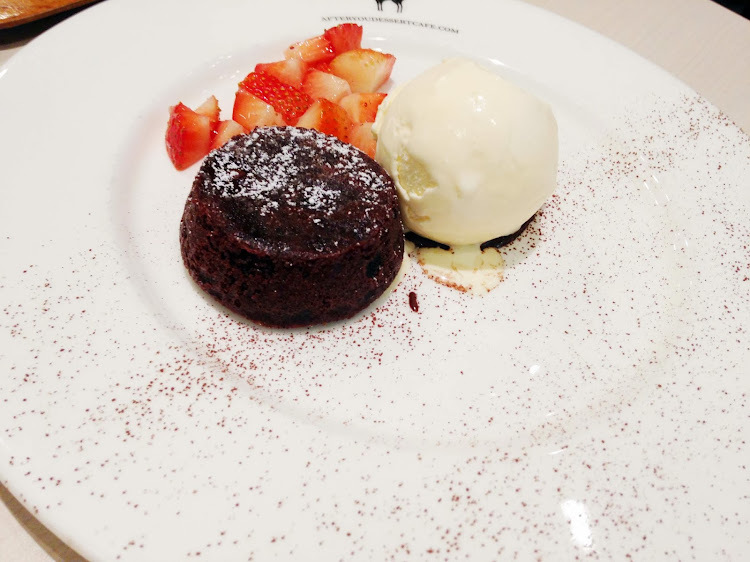 The lava cake is topped with a scoop of fresh vanilla ice cream, mini cut pieces of strawberries and and sprinkled with chocolate powder. And yes! I specially insta-video for you guys if you wanna see the chocolate flow out from the lava cake! The texture of the cake was quite hard and I was actually expecting the chocolate to just burst out once you cut it, but it didn't but eventually took awhile for the chocolate to flow out. 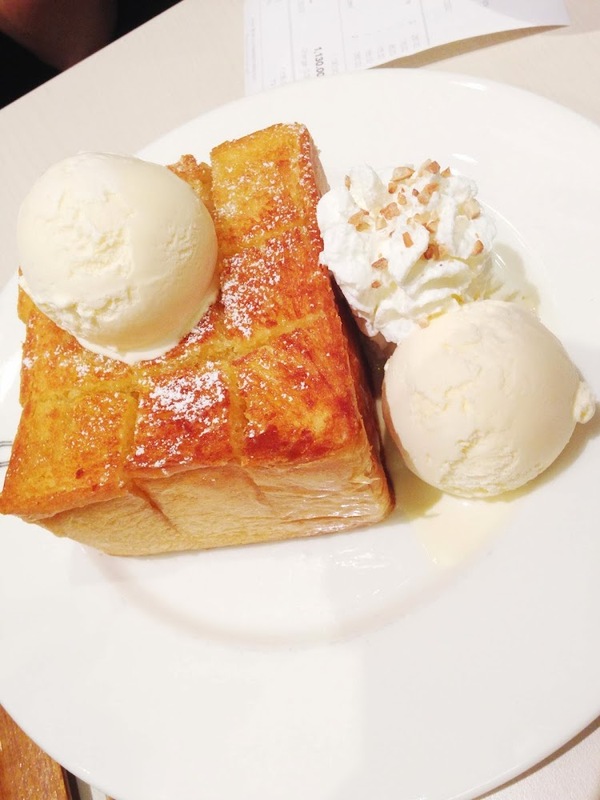 To me, I still think it's value for money, just that I strongly recommend you to get the larger portion in the future if you intend to share it among large group of people preferably above 3? I guess? Because I think they catered this option for individual diners! 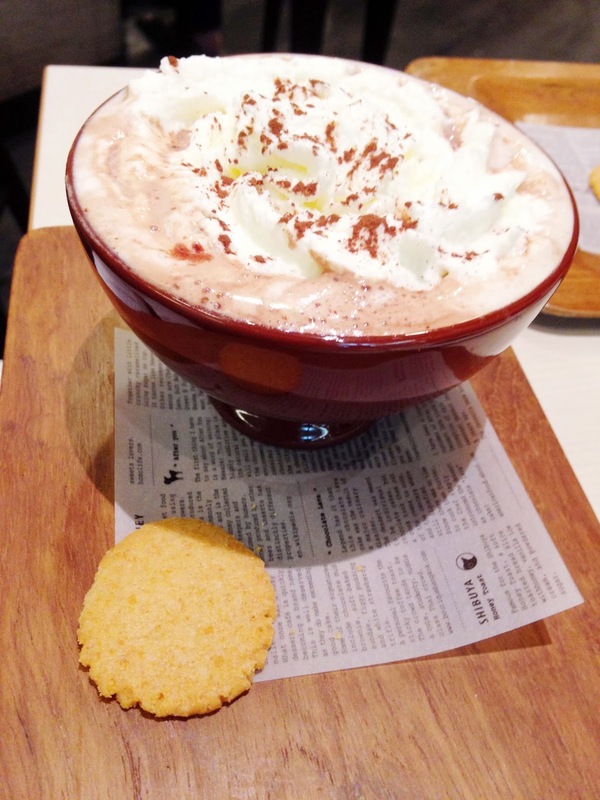 Also tried the Hot Chocolate, served on a wooden pan and a complementary biscuit. 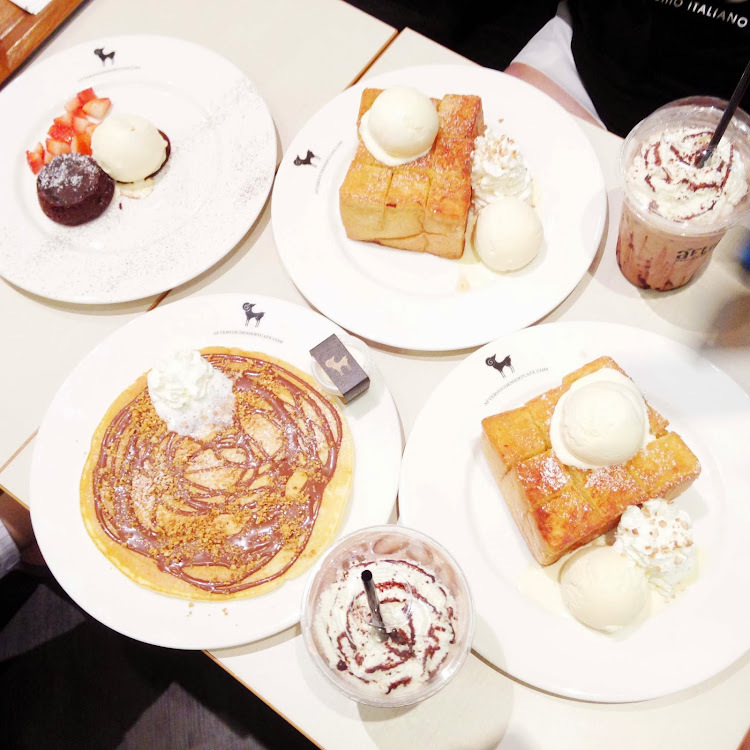 Overall, it was an enjoyable session spent at After You Dessert Cafe. It is definitely a place you should visit and you will be spurred by their wide range of dessert choices! It's NOT overrated! So you should come down and give it a try if you are happening to be in Bangkok at the moment! I will be coming back to this cafe when I'm back in the future and will recombined this to all my friends out there!